Introducing the latest wavelength available for PicoWay Lasers. This novel addition to PicoWay enables optimal treatment for blue and green tattoos, and is a welcome addition to the 532 and 1,064 nm wavelengths already available with the PicoWay. According to a 2016 Harris Poll, three in ten Americans have tattoos and of those 23% regret at least one or more. providentially, as tattoos and tattoo regret have become more common, scientist have made remarkable advances in tattoo removal. 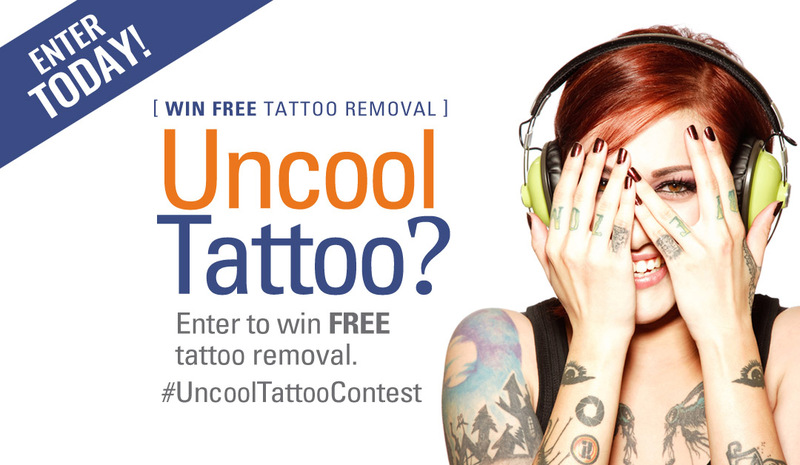 Laser tattoo removal is now safer, more affordable and yes, faster than ever. With the advancements in Pico technology, faster removal is truer today than ever before. After months of waiting for FDA approvals and production delays, the newly developed and revolutionary 785 nm Wavelength has arrived at Delete—Tattoo Removal and Laser Salon, the experts in tattoo removal. his new PicoWay laser wavelength allows Delete’s doctors to target blues and greens even more effectively and safely results in a faster tattoo removal experience for patients. The PicoWay is the best in laser tattoo removal technology from Syneron Candela, a known and trusted name in aesthetic lasers. Picoway produces faster results by delivering ultra-short bursts of energy that break up tattoo ink into more easily eliminated particles, making pigment removal more efficient. PicoWay is also an ideal, and effective option for all different skin tones. Price per individual treatment session is based on the size of area to be treated and begin at $100. Payment plans, pre-payment discounts and financing options are available. Delete - Tattoo Removal and Laser Salon is the premier salon in Arizona specializing in tattoo removal with three licensed physicians on-staff administering each patient’s removal treatments. This medical expertise allows Delete to offer injectable Lidocaine numbing to a treatment area which reduces the pain associated with tattoo removal by approximately 95 percent. Cutting edge technology, high standards of service and consistent results earns Delete recognition as the best in tattoo removal in the Valley. Recently voted as the best Tattoo Removal in the Phoenix Valley by Yelp, Delete is proud to hold the title and provide the best service to Phoenix patients. Delete Tattoo Removal and Laser Salon in Phoenix utilizes the latest in state-of-the-art laser technology and a trained team of certified physicians housed in a sleek, comfortable environment. Delete provides both men and women a convenient and affordable solution for tattoo removal, aesthetic services, and laser hair removal. Delete offers fixed price packages as well as payment plans and financing options. To learn more about the salon, call 855-2DELETE or visit Facebook.com/DeleteTattoo and @DeleteTattoo on Instagram.